Badger Maps is proud to announce that we’ve joined over 125 businesses and organizations in partnering with 1 Million for Work Flexibility (1MFWF). Work flexibility is when employees are offered some control in deciding when, where, and how to get their work done. More and more businesses are implementing flexible work options and are seeing benefits in the way of improved productivity, efficiency, and happiness in the workplace. Chronic overwork is an overwhelming reality in the workplace today. More than 94% of professionals work 50 hours or more each week. This not only has negative ramifications for productivity, but also for employee health and work-life balance. Stress and personal relationship issues have now outpaced personal illness and care giving as the most-common reasons for work absences. To combat this rate of burnout detrimental to both the employer and employee, flexible work practices need to be implemented in the workplace. 1MFWF is the first national initiative of its kind aimed at spreading awareness for flexibility in the workplace. The initiative unites corporations and individuals in helping make work flexibility a core part of the modern workplace. At Badger Maps, work flexibility is at the center of our culture and philosophy. We’re committed to taking care of our employees by allowing them to take care of themselves. From operating remotely to having flexible hours, our Badgers are both passionate and productive at work. 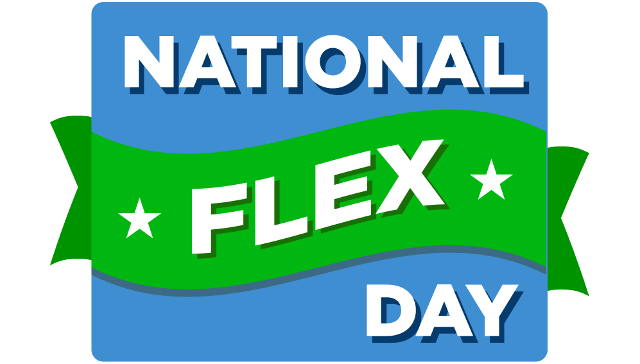 October 17th is #NationalFlexDay! Celebrate with us and enter the contest to win amazing prizes. Just tell us what work flexibility means to you and get a chance to win a 2 months free trial with Badger plus a $20 Amazon gift card and other great give away's from 1MFWF! Learn more about 1MFWF and show your support for work flexibility here.